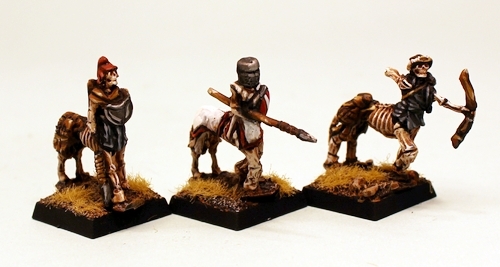 Last month 15mm.co.uk expanded the Undead in the HOT 15mm Fantasy Range with archers and spears. This month the Undead will be expanded again with two more packs. See them, read about them, click though for the blog post. 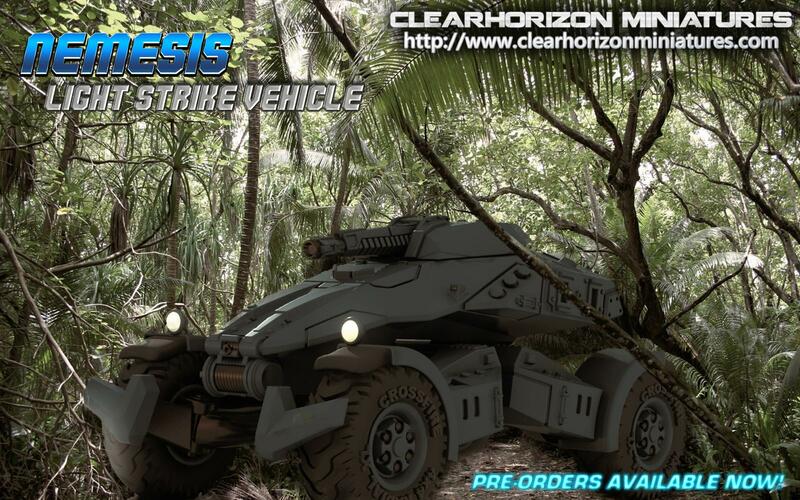 ClearHorizon Miniatures announces the Nemesis Light Strike Vehicle and Aurora Stealth VTOL are available for pre-orders! 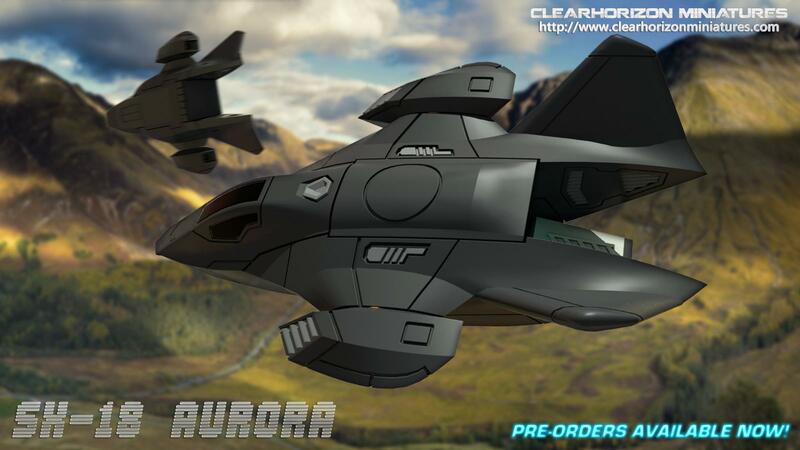 The Aurora Stealth VTOL is designed to take a team of two or three operatives into the most heavily guarded enemy worlds. Able to disembark from an orbiting stealth strike cruiser the Aurora can transit operatives into the heart of enemy strongholds as well as provide advanced air-to-air and air-to-ground strike capabilities. The Nemesis Light Strike Vehicle gives the Hell Diver 5th Orbital Activities Division Special Operations teams the capability to take on heavy enemy armor and emplacements and is an advanced armored recon vehicle. The Nemesis is manned by two Hell Divers and has a remote-operated heavy turret and composite light-bending armored skin. Pre-order now and get a PRE-ORDER BONUS! You will receive a free, unreleased, Covert Ops Pack! 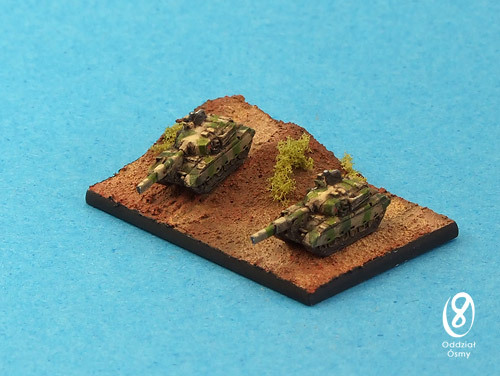 (2x Metal Miniatures) for each Aurora or Nemesis ordered! Both will be released on December 5th, 2014. Now online and free in all orders IMP15 The Witch Knight! 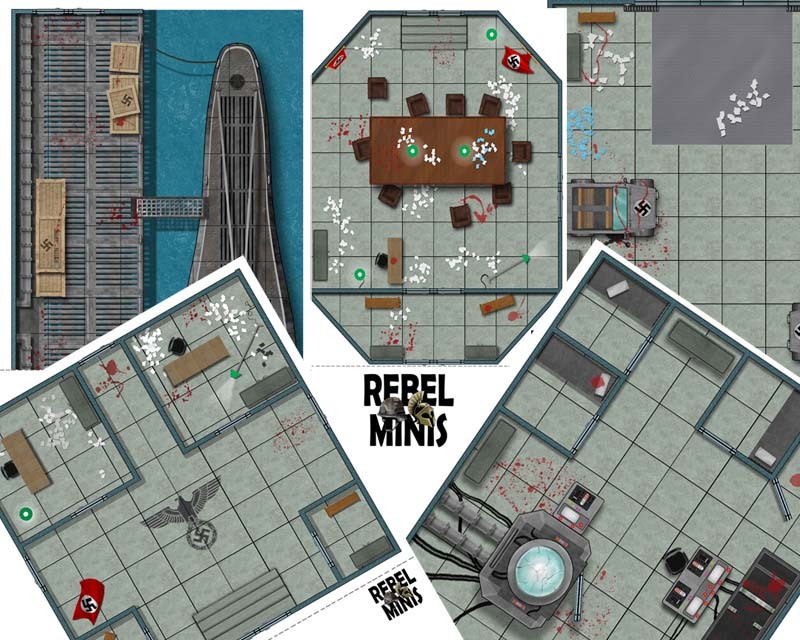 A scary and sultry 15mm miniature for your collection. Plus offers and Espatan Portable Weapon news. Read and see more by clicking the link.